Well, this is way belated, but like always, better late than never! We really had a laid back weekend, with hardly anything on the agenda. Most of the weekend we were either at home hanging out, or running errands as a family. Drew's dad came back into town from his 3 week vacation, so we spent a little bit of time with him on Sunday before he left to go back home. Here are a few pictures from the weekend! Connor liked surfing the internet with Daddy while laying in bed. 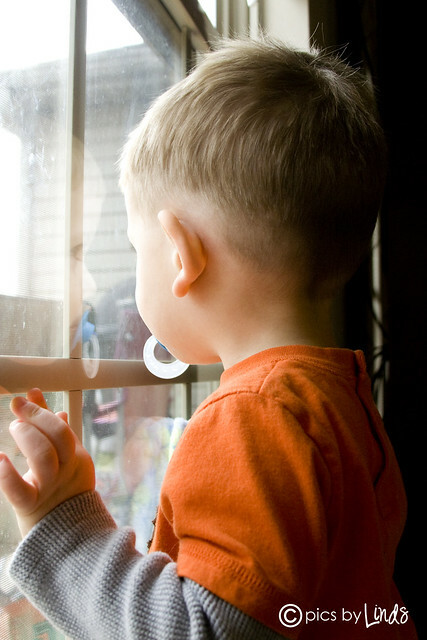 Brayden spent a lot of the weekend staring outside. An arctic coldfront came in this weekend, and it was WAY too cold to do anything outside. 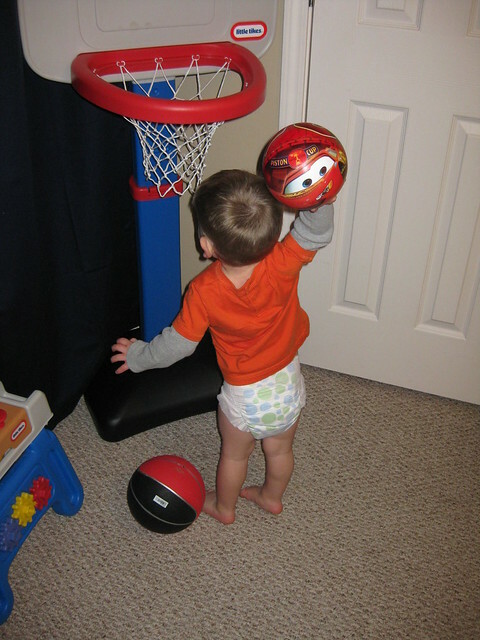 Brayden's been working on his hoops... he can now actually shoot the ball instead of just dunking it! 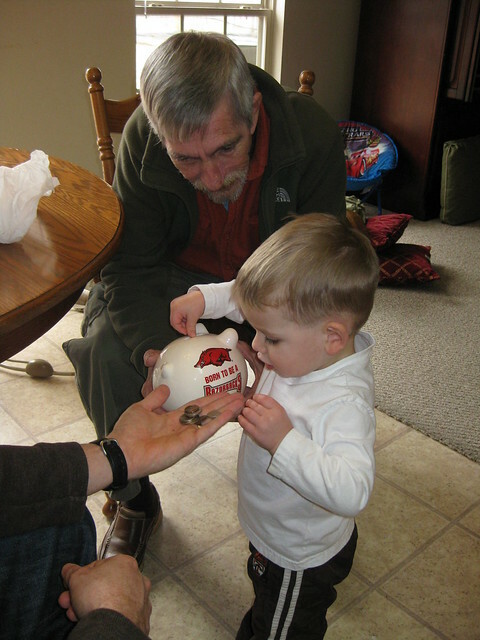 Granddad got him a Razorback piggy bank. At first Brayden thought it was a ball, so we had to explain it's where our change goes. He LOVED putting the coins in, and whenever it would drop in, Grandad would say "clink" and Brayden would laugh hysterically. 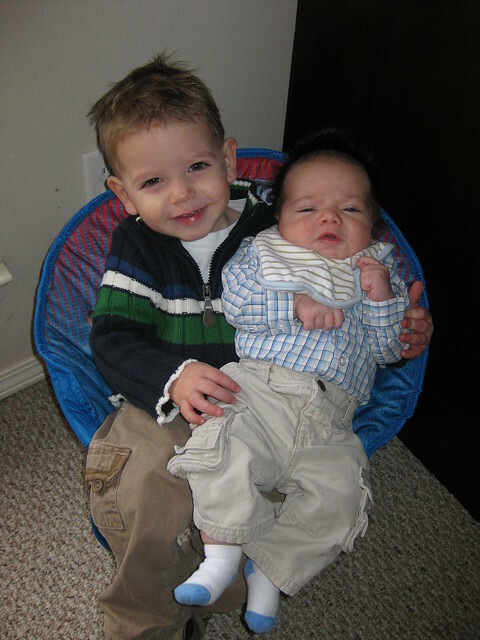 The boys ready for church. 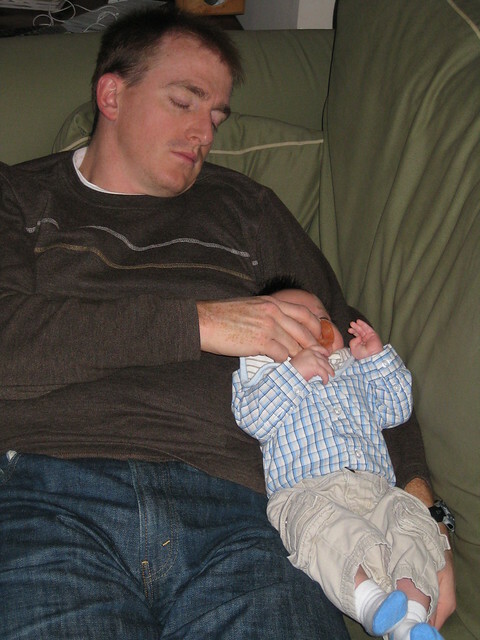 Please note that this outfit is a 3-6 month outfit and it's tight around Connor's mid-section. We may have a clothing dilemma on our hands in a few weeks if he continues this rapid growth that he's on! I have a ton of cute pictures of both of the boys I'll be posting later this week, so stay tuned!